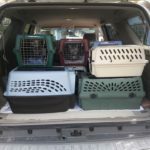 River City Cat Rescue reached out to a family that needed help with twenty-five cats in their home. Ranging in age from kitten to adult. Many of the cats were born with a condition known as Microphthalmia. 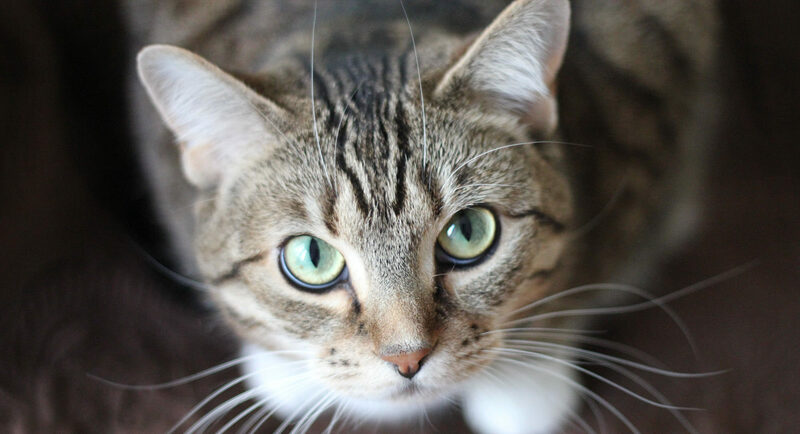 As a result the cats have small eyes and impaired vision or no vision. During their time in our foster homes they have shown that they are just like all the other cats. They eat, sleep, make biscuits and love attention. You can find them lounging in a cat bed or on a comfy chair in front of a window as they take in the sun. All of the cats are very affectionate, they comfort each other and even help guide each other around their new surroundings. Several have been adopted and went to their new homes and are doing well. The kittens from this group will be coming to adoption soon. Sisters Maggie, Lizzy and Emma are 1-1/2, DSH gray/cream colored Tortoiseshell. The girls are coming to adoptions at Petco in Citrus Heights, on the weekends. Maggie and Lizzy need to go to the same home and Emma prefers to be the only one. At home they are talkers, nibblers and curious about what’s going on in the other rooms they haven’t explored yet.